This empowering anthem for black girls depicts the journey from girlhood to womanhood. 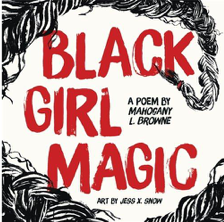 Vibrant illustrations and concise, dynamic text encourages black girls everywhere to embrace their magic and brilliance to bloom and SHINE. Though at first glance this may look like a children’s picture book, do not be fooled by the size. 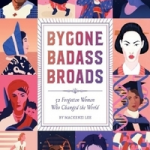 This small but mighty poem packs an enormous punch for teen girls of color within just forty pages. Plenty of white space, minimal text, and attention-grabbing bold red, white, and black pages make this book easily accessible for reluctant readers. Jess X. Snow’s spirited and vivid illustrations tie gorgeously to the text within. Even the end papers are beautifully done, with pronounced white on red listings of inspirational black women. Shout-outs within the poem to leaders such as Michelle Obama, and pop culture icons such as Beyonce, Kerry Washington, Viola Davis, Tina Turner, and more will also draw in reluctant readers. 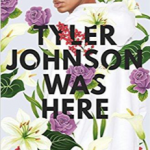 Although fans of authors such as Nikki Grimes, Jacqueline Woodson, Jason Reynolds, and Kwame Alexander will obviously adore this poetry, every teen girl of color should be handed this book and celebrated. Fashion blogger Abby is extremely excited to have won a coveted internship at local boutique Lemonberry. There, she meets fellow intern Jordi, who is a photographer. They fall for each other, but the prospect of competing to win a paid position at the boutique coupled with Abby’s fears that she doesn’t deserve an amazing girlfriend threaten to derail their romance. Additionally, Abby’s mom runs a health-food blog and repeatedly makes unwelcome comments about Abby’s size as well as her orientation. Abby’s voice is authentic, conversational, and wryly amusing. Commentary on how society judges young people because of their weight will be relatable for many readers. 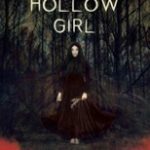 The narrative moves quickly, and secondary characters lend charm and personality to the book. Chapters are not overly long, and the vocabulary is easy to understand. 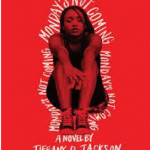 The development of Abby’s friendship with Jax, a jock who transcends the stereotype, lends humor and challenges readers to rethink initial judgements of people. 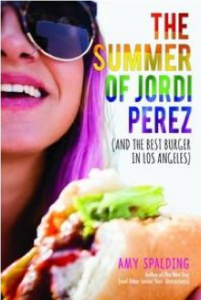 The Summer of Jordi Perez has good representation, with a fat lesbian main character and a love interest who is Mexican-American. Fans of Simon vs. The Homo Sapiens Agenda by Becky Albertalli, Dumplin’ by Julie Murphy, and The Gentleman’s Guide to Vice and Virtue by Mackenzi Lee will enjoy this heartwarming story of summer love.